Suffering a job loss and weathering the emotional storm that follows can be especially challenging for those who didn’t necessarily see themselves working past age 65. Once upon a time, turning 65 was a near-guaranteed ticket to retirement. The modern-day version of the workers’ fairy tale is slightly different, and possibly more challenging. It’s this human factor that can also make the job search an emotionally taxing affair. Seventy-year-old Vashon Island resident Claire Denise agrees. Laid off from her job of eight years as a corporate health and wellness coach in 2015, Denise suddenly needed to self-administer her coaching skills. Despite scoring several interviews for positions nearly identical to her previous role, none resulted in an employment offer. It left Denise feeling she’d bumped up against age discrimination, and that employers may be overlooking skills of the older set, such as responsibility and follow-through. Her initial assumption had been that she would get another job right away. When she didn’t, her self-worth suffered. “I can understand why people give up,” she says. In addition to reconnecting with acquaintances in her field, Denise had her résumé professionally reviewed, something she deems as worthwhile. “The format I was using was a little outdated,” she says, adding that her new résumé includes quantifiable measurements of previous accomplishments. In March, Denise landed part-time employment as a health coach at a Redmond naturopathic clinic. Judy Dowling, of Bellevue, was 66 when she lost her job as a residential property manager after 15 years. Though it happened during the recession, in 2009, she didn’t see it coming and wasn’t prepared, financially or emotionally. Like Denise, Dowling found it difficult to hold her head up and carry on with the job search. She conducted hers poorly, she says, taking the first part-time gig offered without really thinking about what she wanted. She ended up hating it so much that she quit, and unwittingly lost her unemployment benefits. 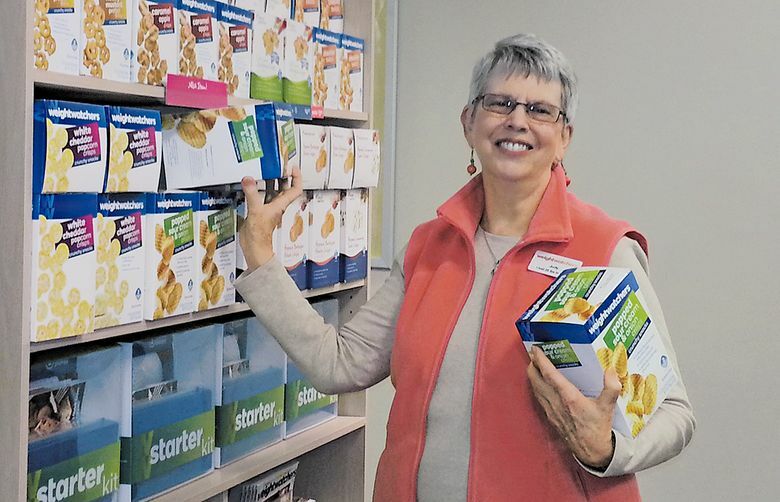 To turn things around, Dowling, who holds a bachelor of science from Washington State University, registered for community college classes that taught job-search essentials like social media, networking and elevator pitches. She also completed a neurolinguistic programming (NLP) course, which helped her secure the part-time job at Weight Watchers she’s held since 2011. Michael Menk, 61, of North Bend, found himself in a similar position to Denise and Dowling in May, when Xerox closed its Redmond customer-service center and he lost his tech-support job. The first thing Menk did was post his résumé on job-search websites — like jobs.seattletimes.com and Indeed — and set up alerts so new postings went straight to his email inbox. He also utilized WorkSource’s employment services, which included non-mandatory networking meetings, though he wasn’t always motivated to go. “Networking is probably one of the most important things you can do, but it’s also the hardest,” he says. That said, Menk’s online efforts recently generated an offer for a full-time contract position.